← What’s not to love about skin rashes? Ask yourself four diet questions. Or I will. I just don’t have the appetite for diets. Or, more specifically, for taking a diet history. The sort of thing my health service’s dietitian does ten times daily—bless her, and all her thin colleagues. Honestly, if the patient’s answer to my first question is ‘Weet-Bix’, I just let the rest slide. I already know they will either score better than their doctor (by definition: a balanced diet) or are lying. In fact, the main purpose of the Coleman four-question diet history is to weed out the liars and move on to something else I’m better at. If Weet-Bix aren’t mentioned, I skip straight to lunch – and probably should suggest my larger patients do the same. If their lunch answer involves the word ‘lettuce’, again I know it’s a porky: Australia’s last old-fashioned lettuce was sold in 2010. But if they mention rocket or spinach leaves, or make any attempt to pronounce quinoa, they’re still in the game. Third question: soft drinks. ‘Never, doctor!’ equals ‘Brand me with a big ‘L’ and look up gratuitous concurrence.’ No, for soft drinks the only question worth its salt is sugar. Diet or non-diet? Max or sub-max, Zero or any non-null integer? The beauty of asking is that one simple substitute can slash their daily calories. It’s also a chance to plug my latest book ‘Miserable and agonising death by sugar’, hoping they weren’t one of the dozen who bought my previous title ‘Aspartame: chemical assassin’. My final question (if I’m forced to go so far) is an alcohol estimation using tick-box categories. ‘Nil’ is, counter-intuitively, the only box where lying is unlikely. Even if they found God a decade ago, yet still insist they are an alcoholic, the nil stands. For all other categories, simply shift all answers one box up, to save taking a detailed history with the same eventual result. Astute readers will note the category ‘Fewer than four drinks weekly’ therefore remains empty, but no one needs to score better than their doctor, with his balanced alcohol habit. In case you’re wondering; this doctor uses one standard drink with two alcohol-free nights per week (as per my 5:2 diet) and has engraved a 150ml line on all his wine glasses, so no need to shift me up a box, thank you. My quinoa-seed wine has been aged in barrels lined with lettuce leaves (since 2010, obviously), and is thus not so much a drink as a super-food. And I grow all my own Weet-Bix. 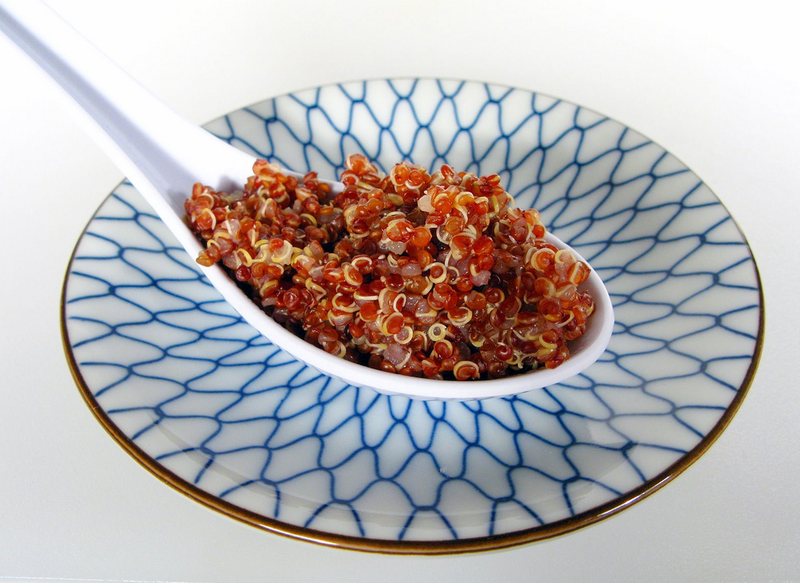 This entry was posted in writing and tagged diet, humour, Medical Observer, nutrition, quinoa. Bookmark the permalink. 5 Responses to Ask yourself four diet questions. Or I will. Delightful as always, Justin, or should that be “delicious”? I often lament the demise of the good ol’ Aussie lettuce. Modern leaf-based salads often look (and taste) like random garden clippings to me. As I stalwart Vita-brits/ Weetbix-for-breakfast eater since toddler-hood, however, I probably wouldn’t have reached question number 2 on the Coleman four-question diet history questionnaire, and therefore not had the opportunity to vent about the fashion trajectory of salad greens. I say this assuming your answer key does not discriminate regarding wheat-biscuit breakfast products. After all, as the author of ‘Miserable and agonising death by sugar’, you are no doubt aware that Vita-brits has less sugar than Weetbix (0.1g cf 3.3g/ 100g) but slightly more fat. I know this only because I engaged in a heated debate on the relative merits of Weetbix and Vita-brits in 1994 with an ex-boyfriend (and they say I’m not romantic! Ha!). The boyfriend-in-question long gone, nowadays I buy whichever product is on special at the time. To recap: why did that boyfriend leave you, again? Was it before or after your stated intention to commence a PhD in wheat-based cereal product disclosure tables? Now, now Justin, be careful with your assumptions. :-). For the record, the dissolution of my relationship two years later had little to do with differences of opinion regarding breakfast cereals but quite a lot to do with differences in life plans. His plan was to spend the rest of his life with Vita-brit-consuming me by his side. My plan, was… well… incompatible with his, Vita-brits notwithstanding. And, by the way, I did not initiate the Vita-brits vs Weetbix debate. I was merely defending the honour of my preferred breakfast cereal against scandalous nutritional slander. Justin, I’m glad your trusty dietician delves into diet questions deeply, leaving you to use the light touch – and there’s certainly room for that in any consultation. I couldn’t help noting your chosen example of breakfast cereal as being the old tried-and-true Weetbix. Is that because of your birth family heritage, I wonder? You and your siblings ate Weetbix every morning albeit with the added luxury of Rice Bubbles on weekends. Your kid brother used to come home from high school and pour 5-6 Weetbix into a bowl, drown them in milk and devour the lot while reading the newspaper’s sports pages. Your mother eats one every morning, too, topped with seeds and dried fruit to make it more appealing. Once she used to add the wickedly sugary Nutrigrain until people like you frowned a little too much. And your boys are into them, too, in between the other food growing people need. That’s a lot of Weetbix all round! Keep up the good work, in tandem with your dietician. Be wary of sneering at answers including lettuce, Dr Coleman – especially in QLD where ‘roid enhanced footballers are the norm. A runner would look a little alien in their midst, if the Gold Coast is typical. I offer my painful experience of a Navy wardrooom mimicking the gent requesting more variety in the lettuces offered (some cos here too please, and rocket, butter & that purple one…. ), despite a steward discreetly tapping 4 fingers on his shoulder where epaulettes would be.